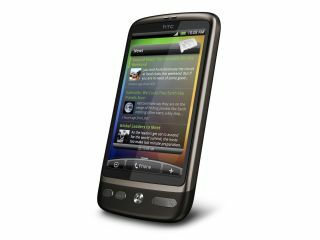 Orange has officially announced that it is now offering an Android 2.2 update to its customers who have an HTC Desire. Conor Maples from Orange revealed today on Twitter the news that Orange HTC Desire users have been waiting an age for – the 2.2 Android update for the handset is rolling out now. Orange's announcement comes after T-Mobile revealed it was giving its customers the firmware update late last week. If you are an HTC Desire owner who is on Orange, then the best way to get the update is to go to Settings > About Phone > System Software Updates > Check Now. It's a bit of a whopper at 90.93MB, so it is probably best to wait until you are in a Wi-Fi hotspot before you start downloading. Android 2.2 is the latest mobile operating system from Google which offers a whole load of extra functionality, including HMTL 5 support and the ability to turn your phone into a Wi-Fi hotspot. For more about the update, check out TechRadar's all singing, all dancing 20 handy Android 2.2 tips and tricks.